Our goal is to provide the highest quality, most cost effective, comprehensive surgical care for our Workers' Comp patients in Florida. Our 30+ facilities are on the cutting edge of surgical technology and patient safety. To find a doctor, search our physician directory by name, location or specialty. Looking for a SurgiComp Center? Our 30+ facilities are on the cutting edge of surgical technology and patient safety. Use our locator to find a surgery center near you. SurgiComp is a state-wide network of free-standing Ambulatory Surgery Centers. Our goal is to provide the highest quality, most cost effective, comprehensive surgical care for Workers' Comp patients in Florida. 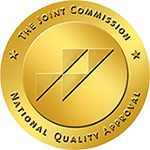 SurgiComp centers help set the pace for recognized industry standards and are fully accredited by AAACHO or JCAHO. Why Choose A SurgiComp Surgery Center? Highest quality clinical outcomes achieved through our Process Improvement program. Outstanding level of patient and provider satisfaction; measurable client value tracked and quantified in quarterly payer reports. The most cost-effective and most appropriate level of care for the majority of workers' comp surgeries. Comforting, homelike setting eases worker's perception of the injury experience and may help expedite Maximum Medical Improvement (MMI) and return to work. Unmatched center accreditation, accessibility, and convenience. Comprehensive geographic network that combines the best surgeons with the best facilities. We'd love the opportunity to exceed your expectations and become Your Workers' Comp Surgery Solution!